All our cakes are individuality designed and priced based on the time each cake will take to make. 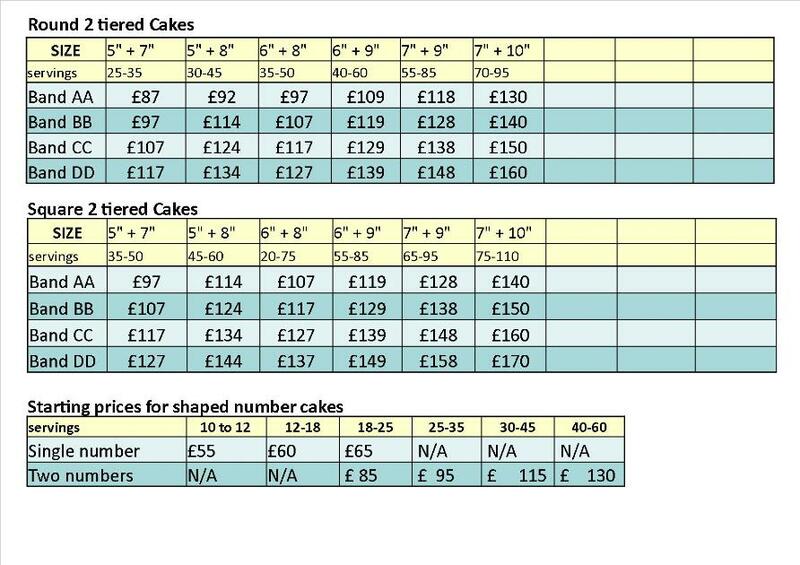 To give you a rough guide of what you will expect to pay, however, each cake featured on the website has been priced or given a price band. The longer a cake takes us to make the higher the price band. These prices start at £45 but if you are on a slightly tighter budget check out our Classic Simplicity Page. 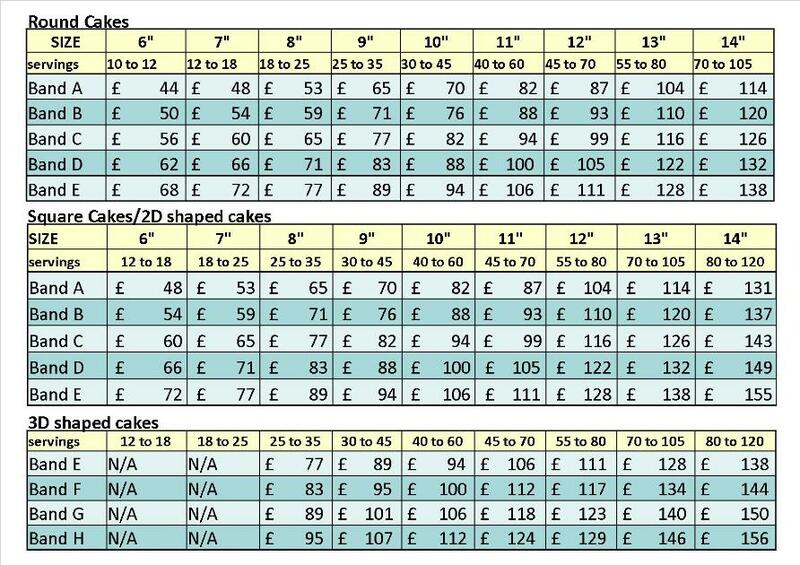 Below is our full list of our current prices for each band for different size and shapes of cake.